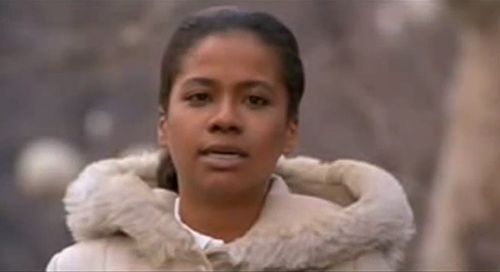 Cheryl Barnes singing Easy to be Hard, probaby the best track from the film version of Hair. The song was written by Gerome Ragni, co-author of Hair: The American Tribal Love-Rock Musical. The musical debuted in 1967 and hit Broadway in 1968. Milos Forman’s film version was released in 1979. Too much bitter, hard political infighting on the left lately. Cheryl Barnes’ performance was nothing short of monumental. It was her one and only public performance, too; she was working as a maid when she was discovered, and after Hair she had a career teaching piano. This entry was posted on Tuesday, July 2nd, 2013 at 3:31 pm	and is filed under British Columbia, film & TV, music, politics, Vancouver, video. You can follow any responses to this entry through the RSS 2.0 feed. You can leave a response, or trackback from your own site. I love this link. I saw this movie when I was a teen, and I’ve mostly forgotten all about it, except that I loved it. I was living in London in 1979 and had just turned 14. I was from New York and know well the spot in Washington Square Park that serves as a backdrop for the video. I wanted to be a hippie, and soon after I discovered in my parents’ record collection the 1968 original cast recording that I listened to over and over until I knew it mostly by heart. I’ve forgotten about Cheryl Barnes too, but she IS wonderful. What happened to her? Apparently it was her first and last film performance. All I know is what I wrote above – that she was working cleaning houses when she got the part, and after the film she spent her whole career teaching piano. Or so I heard. I had the same relationship to Hair you did, though I’m a few years younger. The film is actually great. We were living in Providence RI during the summer of love and my parents actually saw the original Hair on Broadway. Those songs by Gerome Ragni are underrated.